Yellow cabs, massive skyscrapers, and crowded streets — New York City is exactly like it is in the movies. With such a huge abundance of world-class attractions, ranging from theaters and clubs to parks and iconic architecture, putting together your NYC itinerary won’t be an easy task. There’s a high chance that you won’t be able to see everything in one trip, but that’s the perfect excuse to visit the incredible city again! First-time visitors tend to spend most of their time in Manhattan, where you’ll find popular landmarks, like Times Square with its bright billboards, and street artists. It’s also where you can buy tickets for Broadway shows, such as The Phantom of the Opera, The Lion King, or Wicked. Return to the square just before midnight for the world’s largest digital art exhibition! Continue your tour at Rockefeller Center, with 19 commercial buildings built in the Art Deco and International styles. 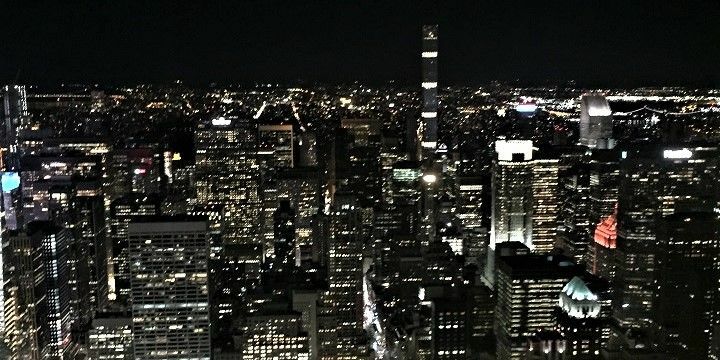 Head up to Top of the Rock Observation Deck in the middle of Rockefeller Plaza for an unforgettable view over Manhattan’s skyline and Central Park. Another option for a great view is the Empire State Building, with two viewing decks (320m and 373m). The Empire State Building offers great views over the city. If you’re on a budget, head to one of NYC’s many great rooftop bars for free panoramic views and a drink. Other must-see sites in Midtown Manhattan include St. Patrick’s Cathedral, impressive Grand Central Terminal, and the famous arena Madison Square Garden. After the 9/11 attacks, Ground Zero was established as a memorial site for the destroyed Twin Towers. Today, the One World Trade Center — America’s tallest building at just over 540 meters high — stands where they once were. Just around the corner, you’ll find the city’s Financial District, which is home to the notorious Wall Street and New York Stock Exchange, the world’s largest stock exchange. Don’t miss the district’s Charging Bull, a massive bronze statue, that is meant to embody the optimism, drive, and success of the stock market. The Statue of Liberty is located on Liberty Island. Ferries regularly depart from Manhattan’s southern tip to Ellis Island, Governors Island, and Liberty Island. 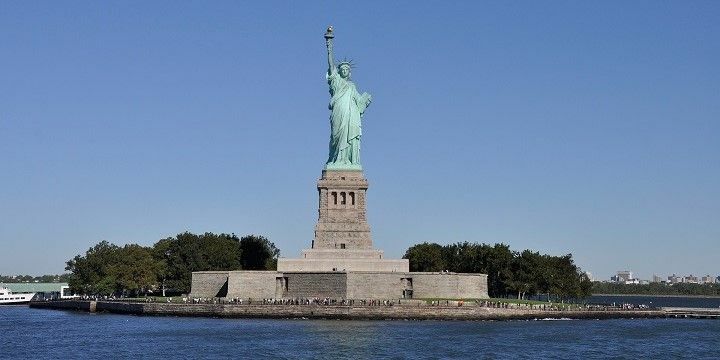 The latter is home to the famous Statue of Liberty, which was built in 1886 and stands at over 90 meters high. Known as the lungs of New York City, there is always something going on in Central Park. The park is a must-see for anyone interested in nature, sports, culture, and architecture. The stark contrast between the lush greenery and surrounding high rise buildings makes Central Park unique. The park is full of shimmering lakes, an array of architecture, historical statues, and ornate bridges, which lead to the park’s heart: Bethesda Terrace. 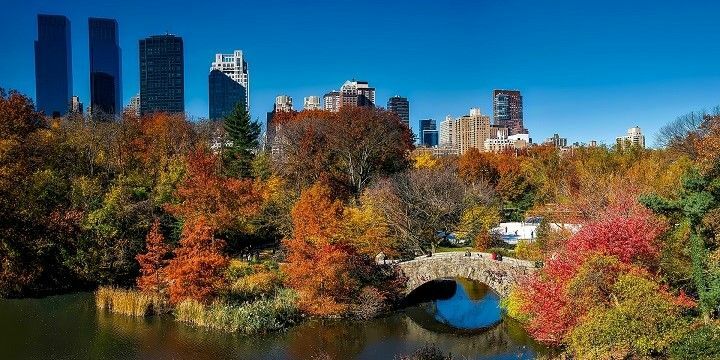 Central Park is a must-see at any time of the year. High Line Park, close to Chelsea Market, is another gorgeous area of greenery. Once home to a major train line, the park is now a great spot if you want to escape the hustle and bustle of the city. Although Manhattan has plenty to do and see, a trip to NYC would be incomplete without crossing the famous Brooklyn Bridge (or Manhattan Bridge from Chinatown) and exploring the city’s other boroughs, such as Queens and Brooklyn. The Brooklyn Bridge and Manhattan Bridge are well-known landmarks of New York City. The latter offers incredible views over Manhattan, and is home to fascinating museums and galleries, as well as impressive street art in the Bushwick neighborhood. Additional must-see sites include Coney Island’s entertainment park, and the white, sandy beaches of Long Island. If NextStop24 helped you to choose your next travel destination, we'd be very grateful if you’d search for your accommodation and things to do in New York City through these links. They're affiliate links, which means that we will receive a small commission for every booking made through them. There are no extra costs for you; you'll simply be helping to keep NextStop24 running. Thanks! New York is definitely a place to visit. City lovers are going to love this crowded city. There are many many many people, lots of shopping place, many restaurants, and many skyscrapers. However, this “busy” city definitely has a lot of traffic, so consider traveling by a bike or subway. Definitely a place to visit though! New York, also known as "The city that never sleeps" is on a lot of people's wishlist. We visited it together with our kids (then 9 and 11) and did a lot of fun things. We went bicycle riding, visited the Entrepid, went bowling, visited the 9/11 memorial and museum, walked on the High Line, took a day off in Central Park, went to a big shopping mall with a bus, visited "Ripley's believe it or not", took a boattour to Liberty Island, visited the Bronx Zoo, went walking on the Hudson River Waterfront Walkway, visited the American Museum of National History, took the Roosevelt Island tramway and went to a Knicks baketball game. As soon as I landed in NYC, it became my new favorite city! Don’t miss out on doing a tour of Radio City Music Hall or walking around the quaint neighborhood of Greenwich Village — they both offer a bit of a calmer atmosphere than the bustling Manhattan sidewalks! We travelled in January which was pretty cold but this trip was a replacement for our usual ski trip so we didn’t mind; it was nice that it wasn’t too busy. Sighteseeing was amazing; NYC didn’t disappoint. We stayed on Lexington Ave at the Shelburne hotel which was nice and a great location. We found people to be very friendly and got some great shopping prices at Macy’s (sale days Wed and Sun (I think)). Brooklyn via walking over the Brooklyn Bridge was brilliant. City Pass/Sighteeing Pass saved us money on attractions. Central Park was great but we needed more time. We will definitely return! New York is the city that doesn't spleep, and for two guys from Italy was very amazing. Big, colorful, people, shops. We walked a lot among artists streets in Soho, dreaming about the past! New York stole my heart! The adventure of a life time and I did it only in 24hours which is not long enough! But I went up the Empire State but your tickets inside it’s half the price to vendors outside! $58 to go all the way to the top! I went out to a place called Globe on the upper east side in the evening! The hustle and bustle was everything I love! It want to move there!